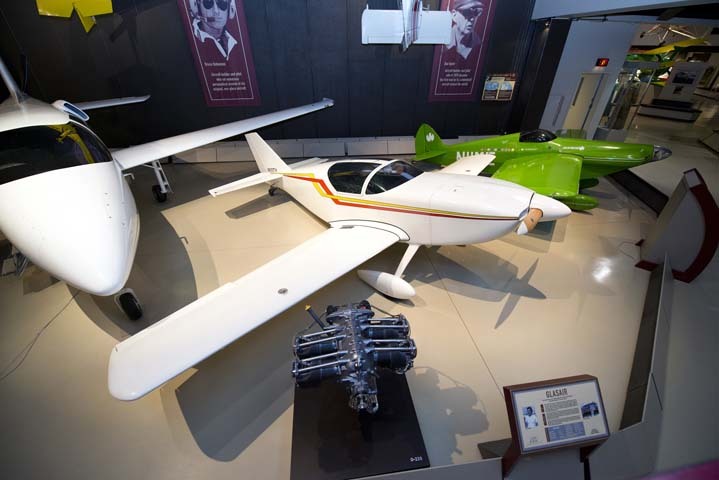 Tom Hamilton, EAA 111356, designed the Glasair to be an efficient airplane; it was fast yet fuel-efficient and had a practical building time. The prototype, called the Ham2, was an all-composite, female molded, side-by-side two place aircraft. It was conventional in design as far as aerodynamics go with a good-looking appearance. Originally, Tom had designed his airplane with tandem seating, but he ran into a few problems. 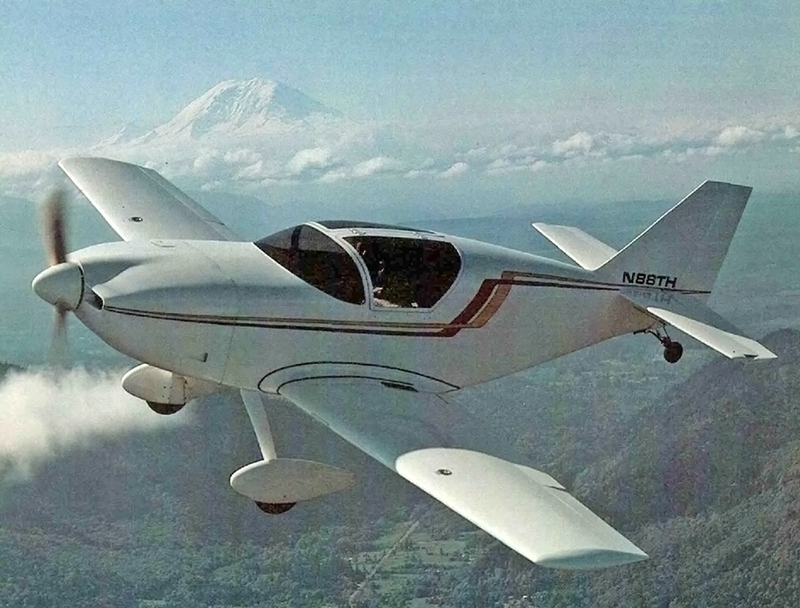 The biggest problem was center of gravity travel, especially when soloed from the front seat. Flying from the rear seat proved to be awkward, cramped, and blind, especially forward through the other person’s head. Baggage space was almost nonexistent and passenger’s weight became an issue. Tom decided to switch to side-by-side seating, which eliminated many of these problems. He saved weight by not having to duplicate instruments and controls, gaining plenty of room for IFR avionics without going to very costly miniature instruments. The Ham2 could handle a pilot up to 6 feet 2 inches in height, while all the succeeding Glasairs had an additional three inches in the canopy. Side-by-side seating can make an airplane less aerodynamically efficient, but it didn’t affect the Ham2 at all in the speed department. The Ham2 was the prototype for the Glasair, which became an airplane that many consider ideal for cruising around in with a friend. 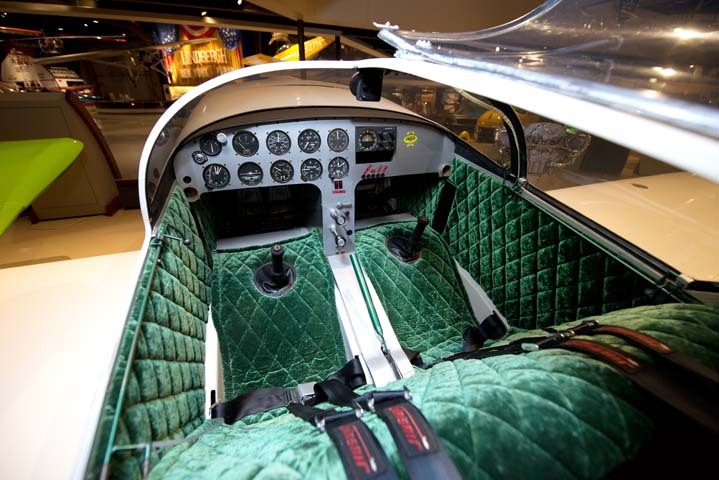 The Glasair is able to carry two full-sized people in comfort, operate out of short fields, and throw in a roll or a loop every once in a while. Utility and efficiency were at the heart of the Glasair design, and Ham2 was what started it all. 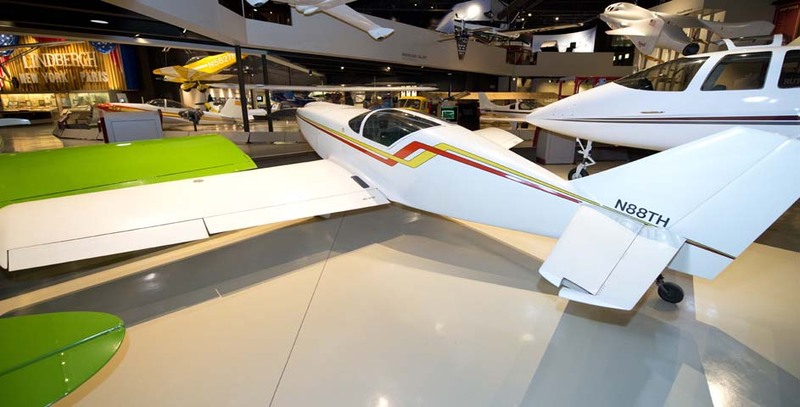 Tom wrote a feature story about the airplane in the August 1980 issue of Sport Aviation, and then donated the Glasair prototype Ham2 to the EAA Aviation Museum in 1986.